On my radio show this week, my guest asked me, “Are you the same person you were when you started Flag and Banner?” My answer (that got a lot of relatable tweets and high fives) was, “I change every decade”. 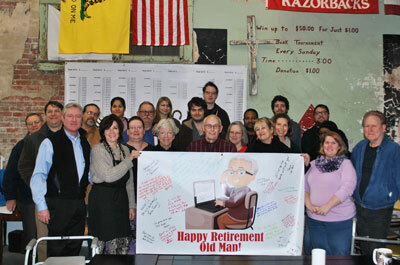 In this decade, I find many of my long-term employees are retiring. Charles Fisher retired a few years back at nearly 80 years of age. He started working for Arkansas Flag and Banner when he was in his 50’s and I was a 32-year-old small business owner. I owe much of my personal, professional and business growth to Charles. 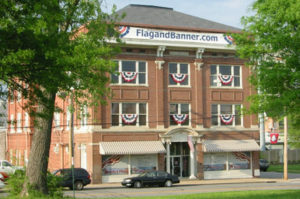 Because he is growing old and was a part of my daily life for decades, and FlagandBanner owes him so much, I occasionally call and check in with him. Last week when I called, I found out he and his wife were sharing a room at Baptist Hospital for two unrelated illnesses. Charles’ loyalty to his family and yes, his job, is unparalleled. I wouldn’t be surprised if he and his wife didn’t go together, holding hands, in some cosmic love. I mean, have you ever known a husband and wife to share a hospital room? This weekend I cooked some of my home-made chicken noodle soup and brought it to them for their homecoming. We had a great visit, and though he looked frail and was carrying around a bag of pee, I found him to be just as funny and witty as ever. This is a part of business ownership you do not think about when you are first starting off, but it is part of a successful business’s story.